The Truck Lifting Tables from Nani have been designed for the transport of heavy trucks at different lifting heights of up to 10m and more. 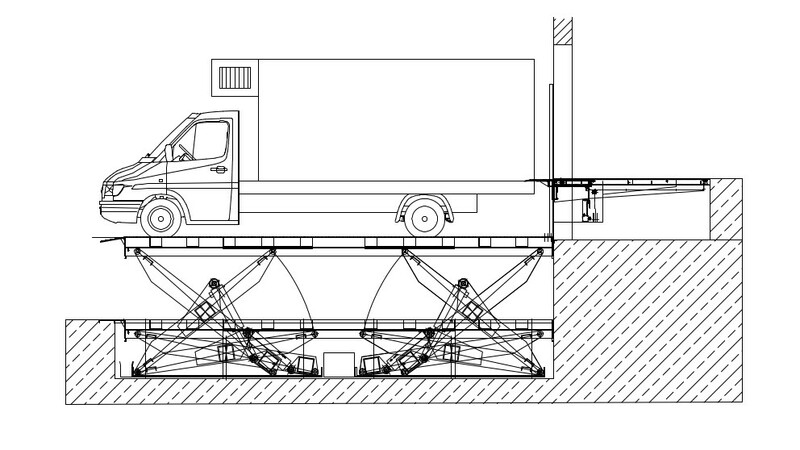 The lifting table length is adjusted to the truck lengths of approx. 15m +. The carrying capacity of the lifting table is then designed accordingly to loads of 40 tons and more. 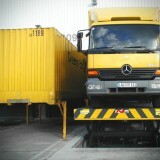 Individual wishes regarding the superstructures of these truck lifts are implemented without any problems. The number of regional central warehouses is increasing among the leading logistics providers as the goal is to realize the “same-day delivery supply chain”. This also increases the demand for flexible loading systems that can handle all types of trucks and vans, from small Caddy to Sprinter and special 7.5 tons small trucks to the large 40 tons trucks. A possible variant is the solution presented here in the form of a combination of a Truck Lift Table and a Dockleveller with special suspension hydraulics of the type VBKS. 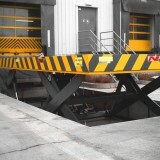 The lift table is placed in front of the loading dock. 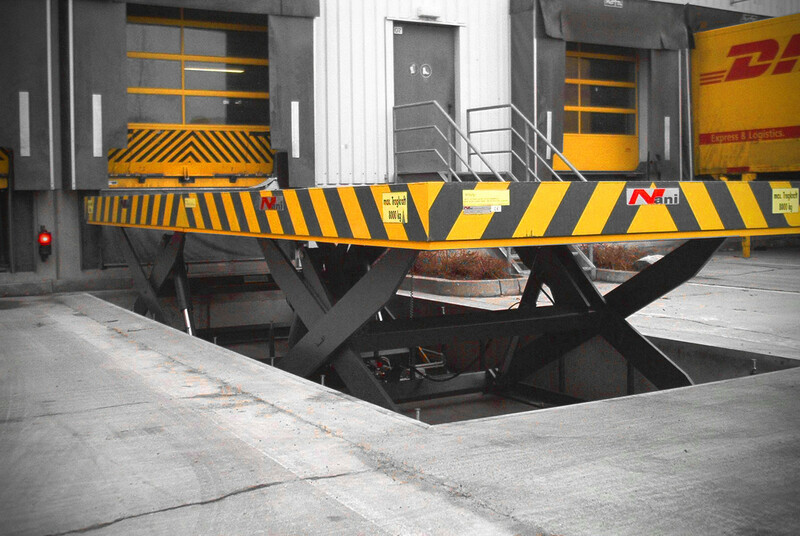 If the scissor lift table is in its initial position (sunk in the pit), the loading point can be used with the integrated Dockleveller for standard trucks. 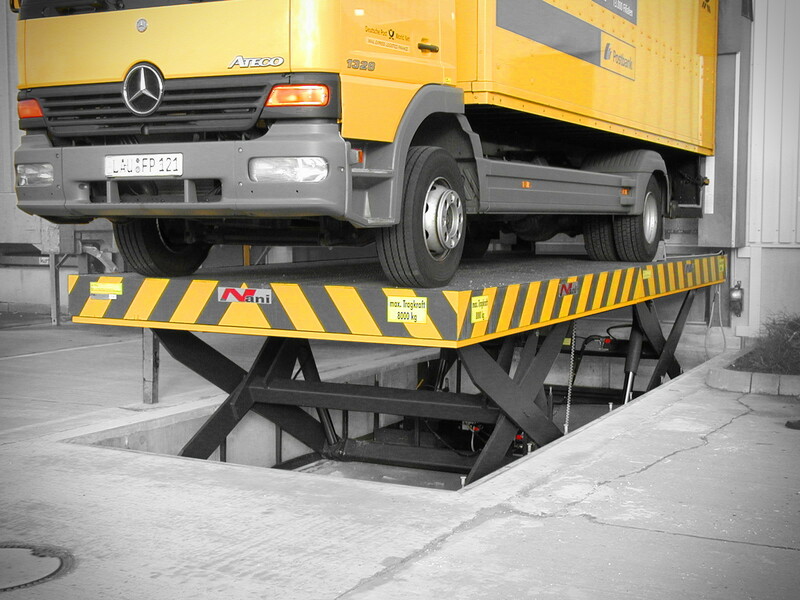 If you then want to handle small trucks, in which a normal dockleveller usually cannot be loaded because of its own weight, the suspension hydraulics technology of the Nani Dockleveller comes into play. 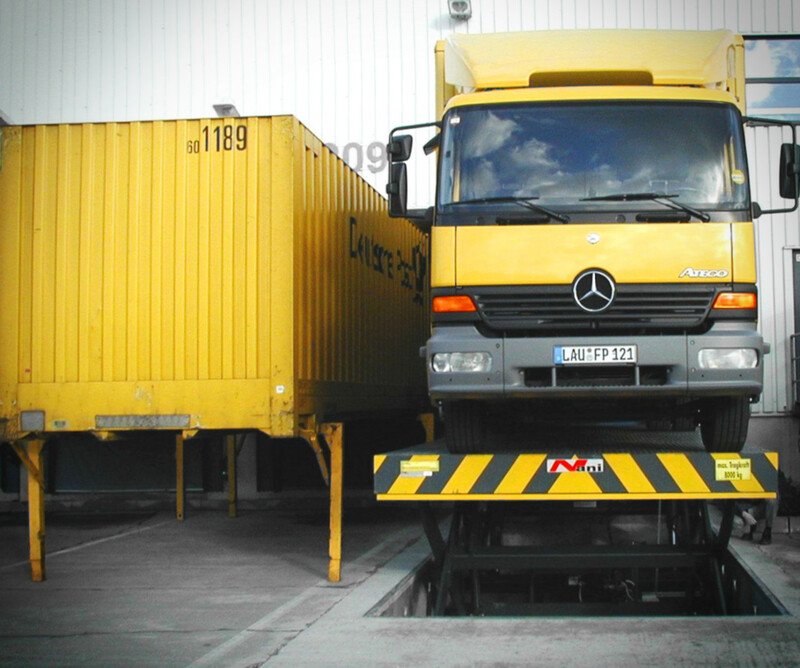 With this hydraulics developed by us, it is quite possible to set exactly what weight should rest on the transporter loading area. Efficient loading without gaps is then also possible for vans. This concept is particularly in demand in the postal logistics and e-commerce logistics.